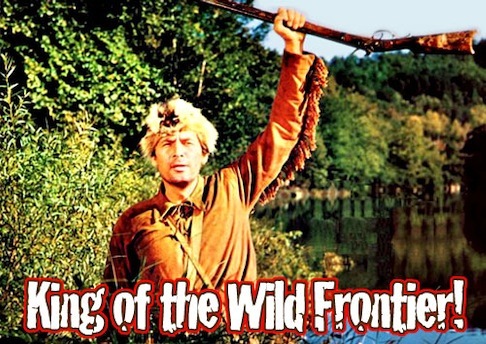 Note to readers: Countless kids, myself included, grew up watching and idolizing Fess Parker as Davy Crockett in a series of 1950s Walt Disney adventures. Many years later, I met and interviewed him at his winery in the Santa Ynez Valley. My wife, Madeline, and I had hoped to spend maybe a half-hour with him. Instead we spent half a day with a then 80-year-old host who simply could not have been nicer. The Fort Worth native's death Thursday, at the age of 85 of reportedly natural causes, hit home hard to the legions who came to know him as both a winemaker and in those trademark coonskin caps as both Crockett and TV's Daniel Boone. The "King of the Wild Frontier" was also a prince of a guy. And the time we spent with him will always be cherished and deeply felt. First published on Feb. 20, 2005 and primarily written as a travel piece, this is a snapshot of that day's life and times of Fess Parker in his own very magical kingdom. SANTA YNEZ VALLEY, Calif. -- Television's time-honored "King of the Wild Frontier" sits happily behind the wheel of an imposing all-terrain vehicle with a step-up rivaling the height of a horse's stirrups. "Ya wanna take a ride in my Hummer?" Fess Parker asks his two visitors. And so we're soon in shotgun seats beside the long, tall Texan who became world-renowned in the mid-1950s as Walt Disney's Davy Crockett. 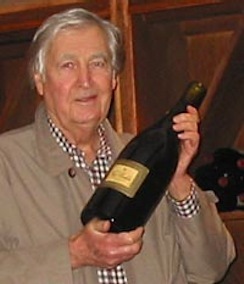 The Fort Worth native trades on that fame, but never immodestly, as the now 80-year-old founding father of Fess Parker's Winery & Vineyard. Nestled in the picturesque Santa Ynez Valley 35 miles north of Santa Barbara, the 714-acre spread marked its 15th anniversary last year. Parker knows the lay of the land like the back of his hand, whether it's the size and stature of numerous neighboring vineyards or the mile of fence line he shares with Michael Jackson's Neverland Ranch. "He's taking care of the publicity for the area," Parker says during the course of a leisurely up, down and around jaunt replete with breathtaking views. The Oscar-nominated film Sideways lately has helped a lot, too. Its winding, wine-fueled road trip takes disparate buddies Miles (Paul Giamatti) and Jack (Thomas Haden Church) through the heart of Parker's favorite place on earth. He still hasn't seen the movie, but has heard the buzz. "It's speeded up the recognition that you don't have to drive 600 miles from Los Angeles to have a fun weekend," Parker says. ""Ya know what, we have 80-some wineries in this area. The central coast is probably as big as Napa Valley, but it's lacked the focus." Six of the wineries are featured in Sideways, with Parker's renamed "Frass Canyon." The Santa Barbara Conference & Visitors Bureau has produced a 19-stop map charting the paths taken by Miles and Jack. It's easily covered in a day's time, with other points of interest ranging from Ostrich Land (on State Highway 2446 between Buellton and Solvang) to the Ocean Lanes bowling alley in Lompoc. The Fess Parker Winery's spacious but cozy tasting room is home to the film's signature scene. A despondent Miles both guzzles and drenches himself with a spit bucket of red wine after being refused a "full pour." The Miles character is a wine snob with a snooty preference for pinot noir and a long-held distaste for merlot. Parker's winery, principally run by his son, Eli, and daughter, Ashley, stopped making merlot years ago. It specializes in pinot noir, syrah, chardonnay, viognier and white riesling while also making a bargain-priced "Frontier Red" whose labels sports a vintage picture of Parker in full Crockett garb. The winery's Crockett General Store sells coonskin caps, coonskin bottle toppers and coonskin-emblazoned glasses included in a $7 tasting charge that allows patrons to sample up to six mini-pours. "I enjoy trying different wines, and there are a lot of good ones in this area," Parker says. "However, on a day-to-day basis, there's nothing like a mother being proud of her son's product." In other words, he mostly drinks his well-regarded house brands. After all, the price is right. Parker, who graduated from the University of Texas in 1950 with a degree in American history, is more hands-on with his nearby, 21-room country inn and spa, opened in 1998 in smallish downtown Los Olivos. Its individually furnished, Victorian-style rooms start at $250, but the price includes full dinners and breakfasts in the lobby-level dining room. Above the fireplace is an oil painting by the late Buddy Ebsen, who co-starred in the Crockett adventures as Davy's wisecracking pal, Georgie Russel. It was meant as a gift to Parker on his 80th birthday last August, but Ebsen died at the age of 95 before he could deliver it himself. The painting depicts Ebsen's even more famous TV character, Jed Clampett of The Beverly Hillbillies, soaking in an outdoor tub while reading a Davy Crockett book. "At my age, probably your best friend is your doctor," Parker says. "But I'd also call Buddy when I was having any health problems. And he'd say, 'Oh, don't worry. I've already had that.' "
Parker regularly dines at his restaurant with his wife of 45 years, Marcella. On Thursday nights, they then join patrons for a group sing-along in an adjoining living room. Ed Ames, who co-starred in Parker's Daniel Boone TV series, and actress Cheryl Ladd are recurring participants. "Every Thursday night is a happening," says Parker. "We've got a lot of people that just love to sing. I mean, that's about all they bring." Our schedule doesn't include a Thursday stay-over, so Parker agreeably sings a few bars for us while we hum along in his Hummer. "I took one look at you," he croons in a full-bodied baritone. "That's all I meant to do. And then my heart stood still." Parker also is a frequent patron of the Los Olivos Cafe & Wine Merchant, located across the street from his hotel amid 10 or so wine-tasting rooms operated by area vineyards. In Sideways, Miles, Jack and new acquaintances Maya and Stephanie have a sumptuous dinner in the cafe well before calling it a night. Its reasonably priced lunches include personal-sized gourmet pizzas and Parker's favorite soft drink, an "Arnold Palmer" (iced tea mixed with lemonade). His "world headquarters," just down the street, is a small upstairs office requiring a steep climb up a well-worn flight of stairs. Parker's staff consists of a lone secretary who keeps his name in play while also keeping him organized. An autographed picture from actor Billy Bob Thornton, who played Crockett in last year's The Alamo, is still waiting to be framed. "To Fess, from one Davy to another," it says. Downtown Los Olivos, which convincingly stood in for Sheriff Andy Taylor's hometown in the 1986 TV movie Return to Mayberry, is the more likely venue for a Fess Parker sighting, particularly during meal times. His winery's tasting room, just a few miles to the north on Foxen Canyon Road, is an evocative memory-jogger. A large, well-used coffee table near the fireplace has a picture of the actor in buckskin riding side by side with Walt Disney at the 1955 opening of Disneyland. There's also a more contemporary shot of little grandson Fess Clayton, who of course is wearing a coonskin cap. "We run the winery together as a family, so I'm more than fortunate," Parker says. "I'm about as happy as I can get. Otherwise I'd be arrested." He laughs at the thought, and also is amused by those who see him as a national treasure with a storied legacy to protect. "I'm a businessman now," he says. "I do what I think is reasonable and right for me. This legacy thing reminds me of all the statues of Confederate generals in the parks. "The only thing they're popular with is the birds."